英文摘要：Mongoloniscus sinensis (Dollfus, 1901) is an endemic species of China and belongs to suborder Oniscidea, order Isopoda, and subphylum Crustacea. To explore the genetic diversity of different geographical populations of M. sinensis and to determine their phylogenetic relationships, 89 individuals were collected from 10 geographic populations of north China. Mitochondrial COⅠ and ND5 genes fragments were amplified using PCR. The results of sequence analysis showed that:1) partial mitochondrial COⅠ and ND5 genes length of M. sinensis were 604 bp and 615 bp, respectively. The full length (COⅠ+ND5) is 1 219 bp after sequence assembly, and the percentages of T, C, A and G were 41.0%, 11.2%, 30.8% and 17.0% with significantly higher A+T content. A total of 503 variable sites were detected (41.3% in the full sequences) among the sequences and the average conversion value was 2.8.2) A total of 45 haplotypes from the 89 individuals were identified, and 5 haplotypes (H1, H15, H16, H21 and H41) were found to be shared by 2 or 3 populations. The haplotype diversity and the nucleotide diversity were 0.964 and 0.005 6, indicating a medium level of genetic diversity. 3) Phylogenetic analysis of the combined gene (COⅠ+ND5) indicated that, the earliest derived area was the north of north China (Datong, Shijiazhuang), and the last derived area was the south of north China (Linfen, Weiyang district of Xi'an, and Xinxiang). Therefore, it was concluded that M. sinensis might evolve from north to south in north China, although some haplotypes did not form obvious clusters according to geographical origin. 4) The average genetic differentiation coefficient value was 0.513 and the gene flow was 0.24. AMOVA analysis showed that the species variation mainly happened within populations. Mismatch distribution exhibited a multimodal distribution curve, and this finding combined with the neutral test revealed that although M. sinensis did not experience population expansion recently, the interior population differentiation was significant and the population showed a relatively flat growth. To the best of our knowledge, this is the first mitochondrial multi-genes based study to investigate the population genetic diversity of M. sinensis. 白玉. 2007. DNA分子标记技术及其应用[J]. 安徽农业科学, 35(24):7422-7424. 陈复生, 付承玉, 汪泰初. 2003. 动物线粒体基因分子系统学研究进展[J]. 安徽农业科学, 31(4):596-598. 陈国孝. 2000. 中国典型地带陆生等足类的区系研究[J]. 动物学报, 46(3):255-264. 戴文申, 徐银龙, 叶健, 等. 2007. 温度对Chelex 100法提取血斑DNA的影响[J]. 新疆警察学院学报, 27(1):34-38. 刘平, 任维宾, 杨瑛, 等. 2018. 角倍蚜细胞色素氧化酶(COⅠ)基因的多样性分析[J]. 生物资源, 40(1):36-40. 孙红英, 周开亚, 宋大祥. 2003. 节肢动物线粒体基因组与系统发生重建[J]. 动物学研究, 24(6):467-479. 王兰萍, 耿荣庆, 刘忠权, 等. 2013. 草兔种群的遗传多样性与系统进化研究[J]. 西部林业科学, 42(2):62-66. 王丽, 文志, 吴敏, 等. 2010. 样本数与种群遗传变异[C]//厦门:全国生物多样性保护与持续利用研讨会. 徐庆刚, 花保祯. 2001. 线粒体DNA在昆虫系统学研究中的应用[J]. 西北农林科技大学学报(自然科学版), 29(s1):79-83. 章家恩. 1999. 土壤生物多样性的研究内容及持续利用展望[J]. 生物多样性, 7(2):140-144. 智妍, 葛振萍, 张春田. 2008. 基于线粒体ND5基因的昆虫分子系统学研究进展[J]. 沈阳师范大学学报(自然科学版), 26(3):347-350. Avise JC, Arnold J, Ball RM, et al. 1987. Intraspecific phylogeography:the mitochondrial DNA bridge between population genetics and systematics[J]. Annual Review of Ecology & Systematics, 18(X):489-522. Avise JC. 2009. Phylogeography:retrospect and prospect[J]. Journal of Biogeography, 36(1):3-15. Boyko CB, Bruce NL, Hadfield KA, et al. 2008. World marine, freshwater and terrestrial isopod crustaceans database. 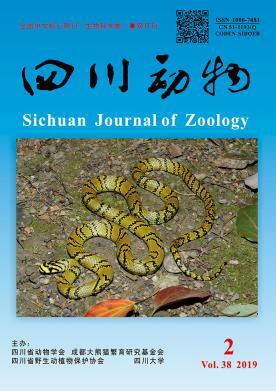 Mongoloniscus sinensis (Dollfus, 1901)[DB/OL]. (2016-09-07)[2018-10-15]. http://marinespecies.org/aphia.php?p=taxdetails&id=261300. Broly P, Deville P, Maillet S. 2013. The origin of terrestrial isopods (Crustacea:Isopoda:Oniscidea)[J]. Evolutionary Ecology, 27(3):461-476. Excoffier L, Lischer HEL. 2010. Arlequin suite ver 3.5:a new series of programs to perform population genetics analyses under Linux and Windows[J]. Molecular Ecology Resources, 10:564-567. Folmer O, Black M, Hoeh W, et al. 1994. DNA primers for amplification of mitochondrial cytochrome c oxidase subunit Ⅰ from diverse metazoan invertebrates[J]. Molecular Marine Biology and Biotechnology, 3(5):294-299. Fu YX. 1997. Statistical tests of neutrality of mutations against population growth, hitchhiking and background selection[J]. Genetics, 147(2):915-925. Grant V. 1991. The evolutionary process. A critical study of evolutionary theory (2nd edition)[M]. New York:Columbia University Press. Ito K, Nishikawa H, Shimada T, et al. 2011. Analysis of genetic variation and phylogeny of the predatory bug, Pilophorus typicus, in Japan using mitochondrial gene sequences[J]. Journal of Insect Science, 11(18):1-13. Kimura M. 1980. A simple method for estimating evolutionary rates of base substitutions through comparative studies of nucleotide sequences[J]. Journal of Molecular Evolution, 16(2):111-120. Kearse M, Moir R, Wilson A, et al. 2012. Geneious basic:an integrated and extendable desktop software platform for the organization and analysis of sequence data[J]. Bioinformatics, 28(12):1647-1649. Kumar S, Stecher G, Tamura K. 2016. MEGA7:molecular evolutionary genetics analysis version 7.0 for bigger datasets[J]. Molecular Biology & Evolution, 33(7):1870-1874. Librado P, Rozas J. 2009. DnaSP v5:a software for comprehensive analysis of DNA polymorphism data[J]. Bioinformatics, 25(11):1451-1452. Li N, Liu Z, Wang Z, et al. 2012. Genetic diversity based on cytochrome b gene analysis of different geographic populations of blue sheep in China[J]. Acta Ecologica Sinica, 32(8):2381-2389. Lanfear R, Calcott B, Ho SY, et al. 2012. Partitionfinder:combined selection of partitioning schemes and substitution models for phylogenetic analyses[J]. Molecular Biology and Evolution, 29(6):1695-1701. Rychlik W. 2007. OLIGO 7 primer analysis software[J]. Methods in Molecular Biology, 402:35-59. Ronquist F, Teslenko M, Mark PVD, et al. 2012. MrBayes 3.2:efficient bayesian phylogenetic inference and model choice across a large model space[J]. Systematic Biology, 61(3):539-542. Shen H, Liu D. 2001. Summary of genetic diversity[J]. Journal of Biology, 18(3):5. Wright S. 1943. Isolation by distance[J]. Genetics, 28(2):114. Wilson AC, Cann RL, Carr SM, et al. 2010. Mitochondrial DNA and two perspectives on evolutionary genetics[J]. Biological Journal of the Linnean Society, 26(4):375-400. Zhou ZJ, Zhang YX, Chang YL, et al. 2011. Genetic differentiation among different geographic populations of Gampsocleis sedakovii[J]. Hereditas, 33(1):75.